Picturegoing has been built using blogging software (WordPress). Each entry comprises a text with supporting information and subject terms, published in the form of a post with its own unique URL or permalink. Search box: Available at the top of the right-hand column of every page – searches the complete text of every post. Browse: Scroll through the site’s pages (links to the next page with older or newer posts are given at the foot of each page), or via the Archive and Calendar options on the right-hand column. Classification terms: Select categories or tags given on the right-hand column (more information below). Please note that owing to the limitations of the current WordPress platform, it is not possible to conduct combined searches. Source: Publication details from the source of the text, including author; title; place, publisher and date of publication; and page references. Text: The verbatim text, with any gaps marked with an ellipsis (…) and any editorial inserts such as [sic] given in square brackets. Comment: Background information on the author, text and subject of the text, including identification of film titles where relevant. Country: The country of location for the text, with the name it had at the time to which the text refers. Decades: Entries are marked by decades rather than specific years owing to the general nature of many of the texts. If a text ranges over more than a decade, it will be classified under both. Sources: The type of document from which the text has been taken. In some cases e.g. an interview taken from a report, the text will be classified under both forms. The relevant categories are given at the foot of the post and link to other texts categorised in the same way. A list of all categories is provided on the right-hand column of any site page. Each text has been subject indexed with keywords, or tags. These cover audience types (e.g. children), physical elements (e.g. projection), venues (e.g. cinema), places (e.g. London), types of film (e.g. westerns), states of mind (e.g. fear), and some concepts (e.g. first impressions). The tags assigned to any text are given at the foot of the post and link to other texts tagged in the same way. A list of the main tags is given in Tag Cloud form on the right-hand column of any site page, followed by a listing of all of the tags used, subdivided into Genres, People, Places, Subjects and Venues. Every named eyewitness has also been tagged and listed in alphabetical order in a separate section on the right-hand column. Those listed are only people whose testimony documents personal experience of cinemagoing, not anyone who has written a book or other document which incorporates the testimony of others. Aids to further research are provided in the form of a select bibliography of works on cinema audiences, an overall history of cinemagoing, and the links to cinema-related sites that can be found on the right-hand column. To cite a text on Picturegoing, use the Source given at the top of the entry plus the permalink provided at the foot of the entry. Please note that the texts have all been copied from another source, and there may be errors of transcription. Nothing on Picturegoing should be treated as a primary source. 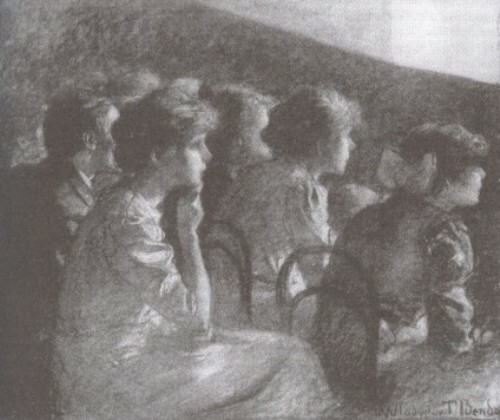 Example: Mary Heaton Vorse, ‘Some Picture Show Audiences’, Outlook 98, 24 June 1911, pp. 441-447, http://picturegoing.com/?p=335. Suggestions for texts that could be reproduced on this site should be made through the Contact form. This should also be used for general comments about the site. If you wish to contribute your own memories of going to the cinema, please use the Contribute form. I cannot guarantee that all contributions will be used.